Ladie’s & Gentleman the time has come! Knife Parties long awaited EP “Haunted House” is available for download! This ep is packed with four, hard hitting and crazy tracks that you don’t want to miss. 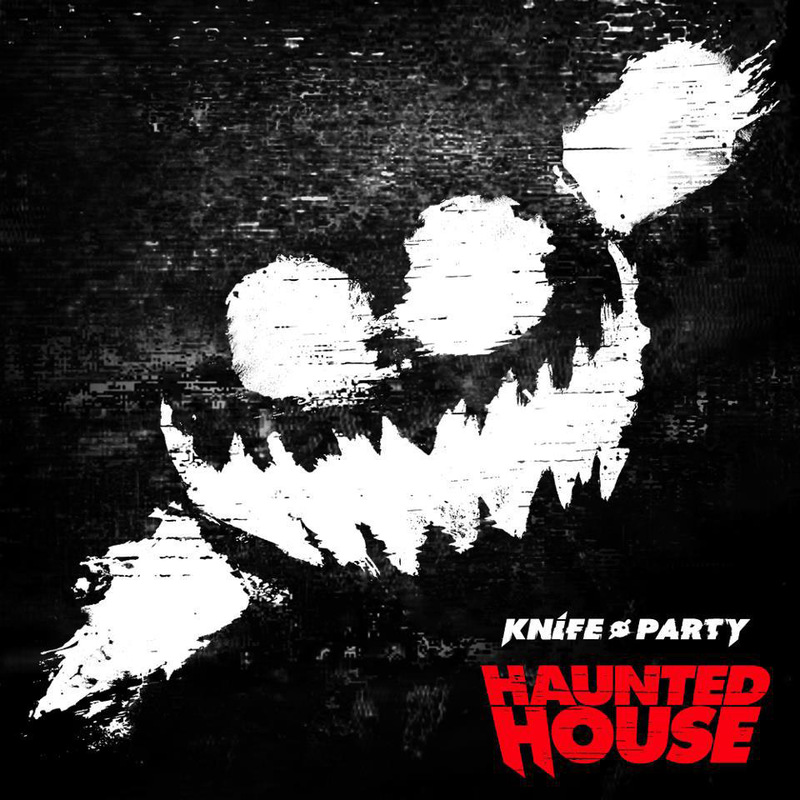 We begin the EP with a song that Knife Party began their Ultra performance with. That, my friends is “Power Glove.” This song is a huge rager and filled with incredible synth and masterful mixing. We continue our journey through the “Haunted House” EP with “LRAD.” This song starts out nice and slow and leads into a huge drop. Once again, masterful mixing of sounds is prevalent in this song. This can especially be seen before the drop. This next song is by far my favorite and filled with so many crazy effects. That song is “EDM Death Machine.” This song has so many things going on that it is almost hard to follow. Crazy robot voices, mechanical sounds, beautiful synth. It’s amazing how Knife Party get’s it all to work. The EP comes to a close with a banger of a song. “Internet Friends VIP” is truly a great way to end the album. It begins on a hard hitting note and stays that way. It then slows down for a little bit with amazing synth and then builds right back up to a crazy dubstep like beat.